A better recycled scuff solution. Lightweight. Easy to handle. Fiberglass-reinforced. Cost-effective. US Liner has raised the and exceeded customer expectations for performance, strength and durability with Bad Wolf Scuﬀ™. Bad Wolf Scuff is made from recycled Versitex and Bulitex. With strong, dependable fiberglass reinforcement, this new scuff liner is a better alternative to 5/8-inch HPDE (polyscuﬀ) solutions. Bad Wolf Scuff is an easy-to-install, durable and cost-effective alternative to traditional 5/8-inch polyscuff material. It is ideally suited for dry vans and reefers. 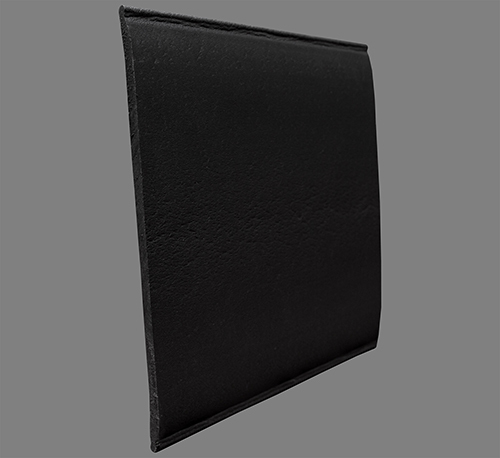 Available in both coil and flat forms in standard 12-inch and 24-inch widths. Available for OEM specification or field installed for maintenance and repair. 3/8-inch thickness – provides more cargo room. Lightweight – easy to handle. Glass-reinforced – recycled from field-proven Bulitex and Versitx for superior thermal stability. Remains flat through all temperature fluctuations. Integral side-wall protection – rounded bevel at the top prevents pallets from snagging and damaging the sidewall. 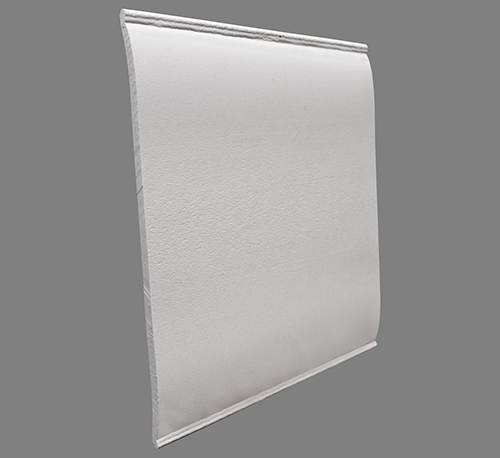 Smooth, flat surface available in white or black at no additional charge. Easy installation – resists bowing, relaxes quickly and requires fewer fasteners. No need to route the bottom in order to fit over bottom rail.